Indian River Golf Club is the perfect place to hold your golf outing or tournament. You and your guests will experience the perfect golf event – Guaranteed! We say this because we have hosted hundreds of successful events and our amenities and service are the best. It’s our attention to detail that sets us apart. At the heart of splendid Northern Michigan, our location offers something for everyone. We are a short 25 minutes from Gaylord, Petoskey, Harbor Springs, Cheboygan and Mackinac City. Located minutes off I-75, we are closer than you think. Our goal is simple: We’re dedicated to achieving excellence in each golf event we host. Whether it’s a day of “No-frills” fun golf, charity event, a golf group getaway, or an officially sanctioned event – we have one focus in mind – making your event the very best! There is good reason why Indian River Golf Club has been rated in Golf Digest’s “Best Places to Play,” and why our course is home to major golf championships like the 2012 Michigan Senior Ladies Championship. 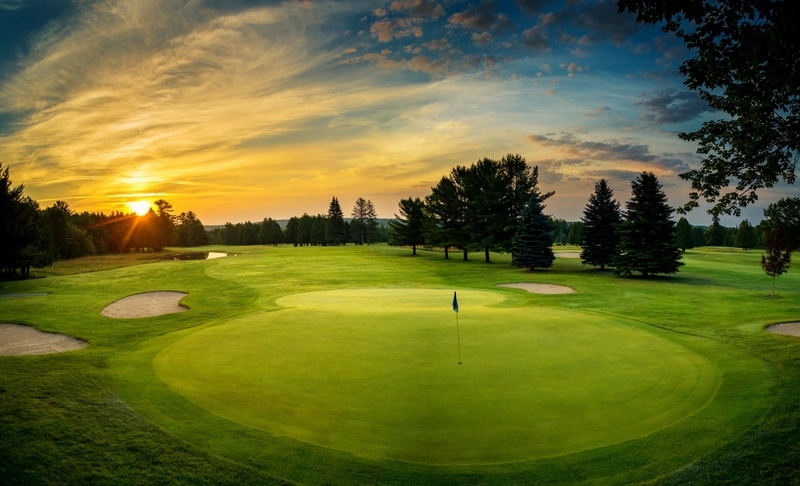 A tournament or golf outing at Indian River Golf Club is truly a turn-key experience for you and in a Northern Michigan setting that can only be labeled as spectacular! Contact General Manager Corey Crowell at 231-238-7011 to schedule your event!